Apple have now released the beta for iOS 7 on the iPad to paid devlopers. This has allowed us to take a look at the new iOS on Apple’s tablet computer for the first time. The iPad has devloped into Apple’s core product. In the face of mounting pressure in the smartphone arena, where Samsung now dominates, the iPad has stood firm. 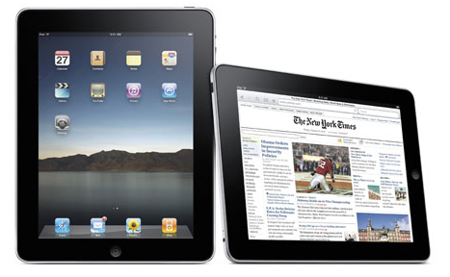 The release of the iPad mini has helped here as well, meaning that Apple still dominate the tablet space. Therefore, the interaction on the new iOS 7 on the tablet is going to be really important for Apple. The larger iPad screen shows off the design overhaul to its full affect, with the newly refreshed icons and flatter design structure. The real-life mimicing affects, such as the leather binding on the notepad app are all gone, and the new software lends a more Android-like feel to the Apple experience. However, the most noteworthy addition in iOS7 is the Voice Memos app. This is a new native app for the iPad, although voice memos could effectively be made with iOS 6. This greater focus leaves us with a totally overhauled look to the sound waves annimation and the inclsuin of a somewhat more obvious recording button – a big red blob of an icon which is more laymans compared to the old designs. 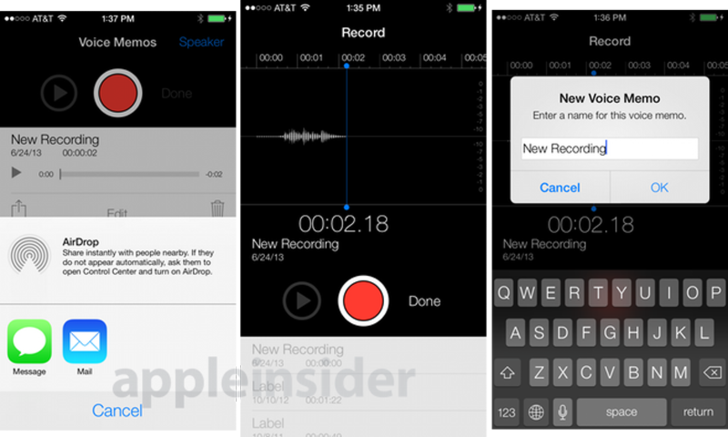 Voice clips in the Voice Memos app are now editable, which was first observed by Apple Insider. The inclusion of the popular Mac Air Drop system means that users now have three ways to share their voice recordings – via message, mail or AirDrop. Users can also save their voice clips to Apple’s iCloud, which is an alternative way to share across devices. Apple’s second beta for iOS 7 is available now. Next articleBB10 fails – So is BlackBerry finally finished?